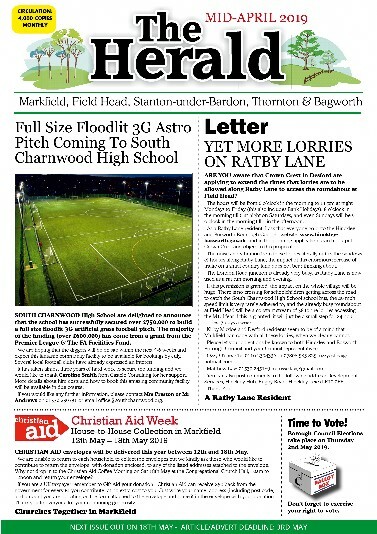 The Herald is a monthly news and information magazine delivered monthly to Markfield, Stanton-under-Bardon, Field Head, Thornton and Bagworth, providing a circulation of 4,000 copies per month. The magazine is packed with local news, information and items of interest. Click on the picture of the magazine to read the latest issue. It is also an excellent advertising medium for local businesses - click here for details of our advertising rates.